Hardwood flooring traditionally comes with plank widths of 2 1/4 - 3 inches wide. However, today's wood flooring manufacturers are able to create wood floors with a much greater variety of plank widths. And the width of your wood floor planks has a big impact on the overall look and feel of the room. How do you know if you should pick narrow, wide or mixed width hardwood flooring planks? This decision is actually an important design consideration and one you should take the time to consider. Random widths are most often used in a rustic or country-style design. However, if you are looking at a wood floor in shades of grey, the random width can add a very contemporary feel to a room. Mixed, random width planks is really a very versatile look. Floors with the same width plank throughout present a very clean, consistent and linear look. Rooms with a more upscale design would likely benefit most from a consistent width wood floor. Keep in mind that there will be variation in what's available based on the species of wood you select. Laminate or engineered wood flooring gives you a bit more flexibility in width choices simply because it isn't restricted by the natural grain or size of the tree. If you decide to go very wide, ask for extra long planks too so that the length balances out the width when you're looking at the floor as a whole. Which width is right for you? 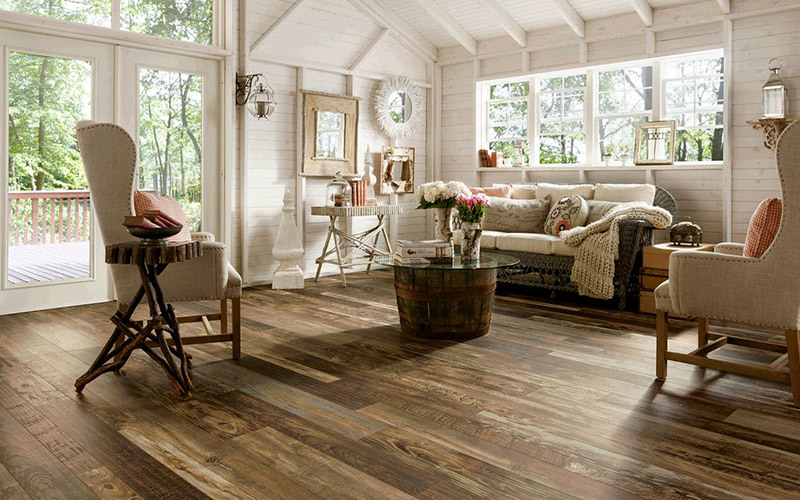 Talk to Indianapolis hardwood flooring store Kermans to help you narrow down your selection. The size of your room - both the floor and overall dimensions, the amount and type of furniture used in the room and the color of wood you select will all have a bearing on the width you select. 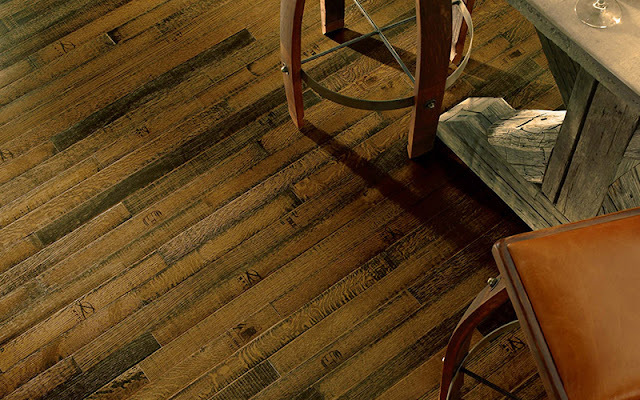 Kermans Flooring in Indianapolis offers free flooring design consultations.